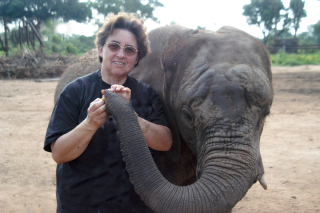 Jutta Kirchner is volontary photographer at Vienna Zoo in Austria since 1993, where I worked as consultant in 1998. She has taken an endless amount of animal photos, from Vienna Zoo and elsewhere, and we both have a good agreement, I get hundreds of photos from her, while I assist her with her website www.juttakirchner.com. It has to be stated very clear however, that her photos is within her copyright, and all topics about her photos has to be discussed with her, and not with me.